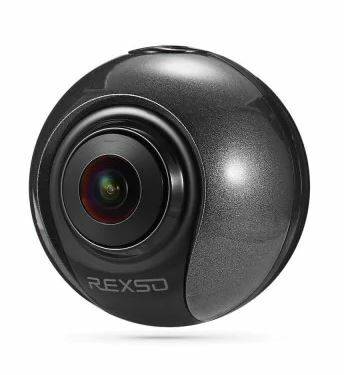 Elephone REXSO 720 is a new fully spherical 360 camera accessory for smartphones. 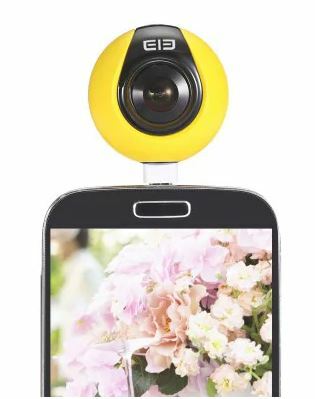 One of the major trends in the past year has been 360 camera smartphone accessories. 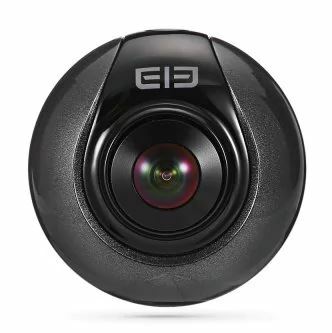 These 360 cameras attach directly to a smartphone, bringing 360 camera capture capability to a device that consumers are intimately familiar with. 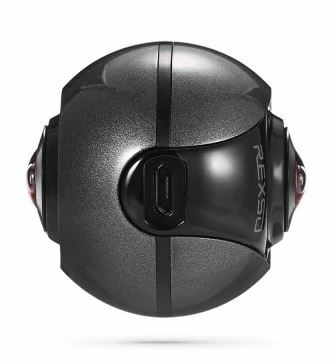 One of the newest 360 smartphone accessories is the Elephone REXSO 720. The Elephone REXSO 720 was first announced around six months ago as simply the Elecam 720. It has since been renamed with a more distinctive REXSO name, with a new logo. As mentioned above, REXSO is for Android smartphones. Here is the link to its app on the Google Play Store. 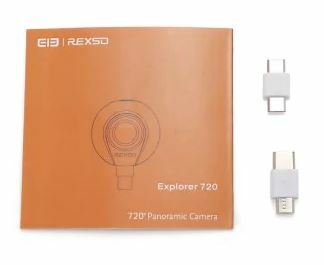 The REXSO comes with adapters to enable it to be used with Micro USB or another connector that appears to be USB Type C.
REXSO 720 is available from GearBest for around $80, either in black or in yellow. I wonder about that too….